Miji IT Solutions, LLC staff members are equipped with deploying and maintaining High Resolution Surveillance Camera Systems. our Los Angeles Surveillance Security is proud to provide professional and affordable and trustworthy services nationwide and international servcies. A large proportion of a physical security solution continues to be the high resolution surveillance system in Los Angeles. 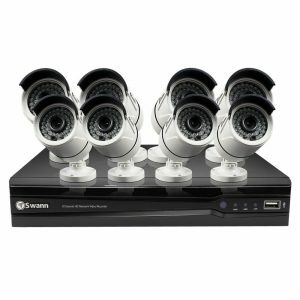 The edge devices in the form of Analogue or IP CTV cameras are image capturing devices that form the back-bone of surveillance systems. Miji IT Solutions offers a widest range of analog CCTVs, IP CCTV, NVR, DVR, and other products to suit your requirement. Once the system is in place the stream of signal produced by cameras is processed using Video Analytics software that runs on high performance servers located at the Central Command & Control Center. This facilitates automatic real-time detection of threats, raising alarms and activating designated response mechanisms to neutralize threats. Miji IT Solutions, LLC staff members are equipped with deploying and maintaining High Resolution Surveillance Camera Systems.